Let’s be honest. 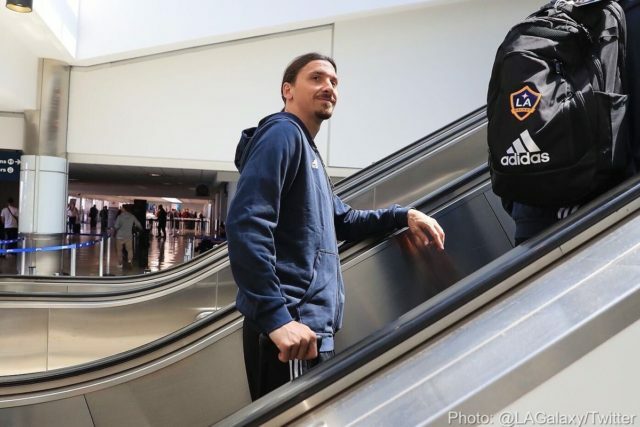 When Zlatan Ibrahimović signed for LA Galaxy last season, how many of you expected to see him turn out on the BC Place turf? I certainly didn’t, and when he went down with an apparent Achilles injury a few weeks ago, that prospect looked even slimmer. Yet, here were are. The Swede has made the trip north to Vancouver for Friday night’s match, telling anyone that will listen that he’s prepared to play on all the turf pitches MLS can throw at him. If we wants to break all those league records he’s talked about then he has to of course. But maybe we shouldn’t be surprised that he’s playing. 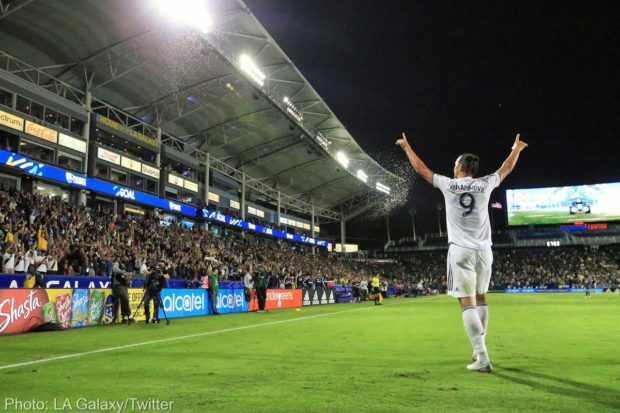 If the Galaxy want to make the playoffs he has to, because LA without Ibrahimović, are a very beatable side and they can’t throw away points to their Western Conference rivals. Turf or no turf. My perception, and I’m not alone I know, is that the “big name” players (for that, read ageing superstars) won’t play on Vancouver’s pitch. But that’s not actually the case (and a big hat tip to the ‘Caps Nathan Vanstone for doing the digging on this). LA’s David Beckham played here twice, albeit once was a friendly. The only other time he could have played, he was suspended (in very suspicious circumstances admittedly!). Chicago’s Bastian Schweinsteiger came and played. New York City FC’s Andrea Pirlo and David Villa played both of their matches here and Frank Lampard played his one chance to. They had three goals and two assists between them for NYCFC, so maybe we don’t actually want these players to come! The only “star” players not to come were Thierry Henry, Kaka, Didier Drogba, and Steven Gerrard. Henry didn’t come on the three occasions that he could, and played the next Red Bulls match each time. Drogba, Gerrard, and Kaka were all injured and missed playing time for their team’s next match. But that’s all an aside. This is all about Zlatan, which of course he will tell you everything always is! He’s here. Whether he starts or whether LA decide to see if they need him off the bench is the big question. Either way, Vancouver Whitecaps are prepared. 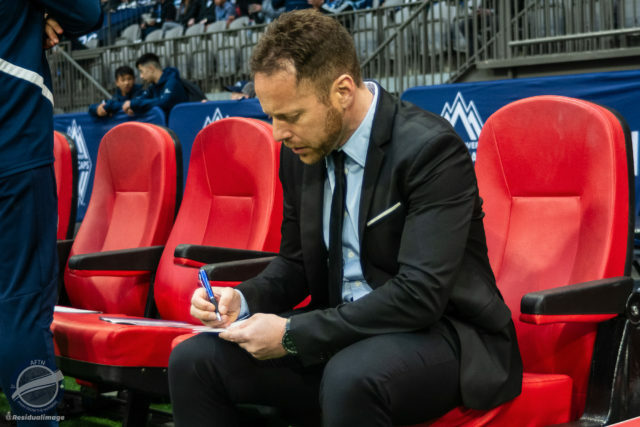 “It’s impossible for you to build a game against the LA Galaxy and not mention Zlatan,” Whitecaps head coach Marc Dos Santos told reporters at Whitecaps training on Thursday. “It would be very irresponsible from our staff. We prepare all the games like he’s playing, like he’s coming, and he’s going to be there. Which is certainly what the Whitecaps can’t afford to do. If they do then players like Romain Alessandrini, Jonathan dos Santos, and Emmanuel Boateng could have a field day. Ibrahimović’s quality is unquestionable. As is the threat he poses in the Whitecaps box. But we’re not just talking scoring goals here. We’re also talking earning them. Last Sunday’s win for LA at home to Portland was the perfect example of that. The Galaxy’s goals both came from the penalty spot. Three of their seven goals this season have now done so. Both of last weekend’s penalties were earned and then converted by Ibrahimović. Both were won by the Swede’s experience as much as poor tackles in the box. Let’s be brutally honest here – he knows how to go down. Concerning for any team. Even more so for a team that gave up three penalties in their first three matches. Now you can argue that two of them weren’t penalties, but they were given, they were scored, and the Whitecaps lost each match by one goal. That defence going up against a crafty old veteran like Ibrahimović should raise alarm bells in the ‘Caps camp, and Dos Santos has spoken to his squad about that very aspect of Friday’s match up. “[We’ve discussed] how to be strong your zone,” Dos Santos explained. “The more you’re concerned and obsessed by the player, you can take bad decisions. Ibra cannot run into the goal and it’s a goal. Football is all about space, the ball, and your goal. The Whitecaps can’t afford to dive in. They can’t give Ibrahimović the opportunity to go down and give Baldomero Toledo the penalty call to make. But they also can’t get caught up in the Swede’s other theatrical antics. That aspect of Ibrahimović’s game is something Nerwinski is fully aware of and he’s ready for it. That could be what is the key for the Whitecaps’ success on Friday night. They need to ignore the Zlatan sideshow, because even with him on the pitch, there’s a lot of questions about the quality of this LA side, especially on the defensive side. Ibrahimović may be capable of unravelling the Whitecaps in one fell swoop, but this is also a very winnable game for Vancouver. “The last game he scored two times on penalties,” Iraqi left back Ali Adnan noted. “So we need to take him outside the box. This is what we’ve worked about this week. They have other players that are good, so we need to be careful.